The Florida International University Structural and Environmental Technologies Lab (SET LAB) is an interdisciplinary facility dedicated to teaching and research in building science and technology with a focus on ecology and the importance of climate responsive and energy-conscious design and construction.  The SET LAB serves the curricular needs of FIU’s Architecture Program by providing a dedicated space and equipment for learning through research, testing, and investigation of materials and systems for resource efficient built environments. 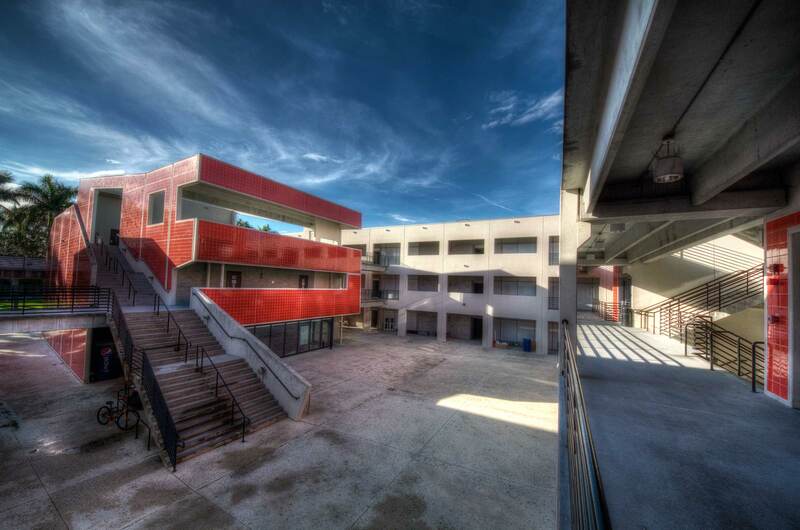 The SET LAB is equipped with state-of the–arts technologies that aid students to investigate material performance, innovative building products, systems, and integrated building assemblies as well as their surrounding environment. The Lab will enable both undergraduate and graduate students to test materials and building systems by using advanced diagnostic equipment and aid in validating experiments and research with computer analysis software. 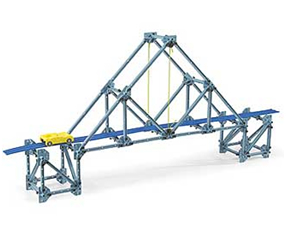 This introductory Structures System set includes everything needed to quickly build a variety of trusses. A variety of I-beams give the flexibility to design and create many different structures. 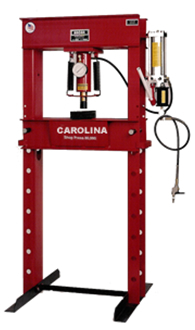 All Structures Systems sets, Load Cell can be placed anywhere in the structure, allowing you to measure tension and compression. 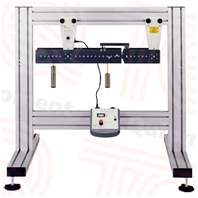 is the high-quality Bending Moments in a Beam experiment module consists of a simply supported beam ‘cut’ by a pivot. To perform Bending Moments in a Beam experiment, students apply loads along the beam. Students read the forces created using a Digital Force Display. 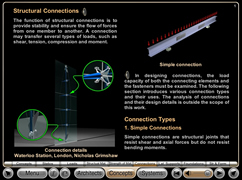 The Bending Moments in a Beam Virtual Experiments Software enables computer simulation of experiments working with or without .the Structures teaching hardware. It allows students to visualize, tabulate and graph data. 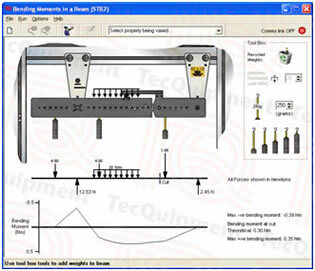 The software displays a bending moment diagram during experiments. 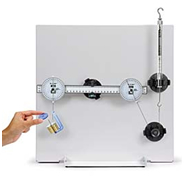 A Magnetic Work board and Components designed to teach the fundamentals of statics. The Statics System is composed of the Statics Board, Spares Package, Components package and Mass and Hanger Set. Most of the components of the Statics System attach magnetically to the board and have rubber rings on their base to protect the board. The PASCO Statics System is designed to help you investigate the nature of forces for the special case in which there is no acceleration. In other words, the vector sum of all the forces acting on the body is zero. Affiliated faculties with the lab have extensive experience in developing educational software in the area of building sciences. The following is a brief description of two educational software that is utilized at the lab. diagrams and hypertext, the software-generated environment helps to visualize and engage concepts as well astopics that may be difficult to grasp in traditional learning formats. The interactive content aims to engage and compel users to participate actively in their learning process.The production of the software responds to the proclivity of the new generation who are more accustomed to accessing information in such environments. understand manner. Interactive Structures utilizes a multi-media format that permits users to draw a direct relationship between structural analysis theory and its practical applications within existing buildings. Spiegelhalter, Thomas. “Entropy Processes in Low-Exergy Architecture.” PLEA 2012, Opportunities, Limits & Needs, Towards an Environmentally Responsible Architecture, 28th, International Conference on Low Energy Architecture, (Lima, Peru: CIAC/PUCUP-Proceedings,2012). Spiegelhalter, Thomas. “Transforming and Benchmarking a LEED certified University building into a Net-Zero-Energy Building in the Subtropics.” 28th International PLEA Conference 2012, OPPORTUNITIES, LIMITS & NEEDS, Towards an environmentally responsible architecture, LIMA, November. 7-9 2012. Spiegelhalter, Thomas. “AIA 2030 Carbon Neutral Building Challenge – Designing Net-Zero-Energy Buildings with Parametric 3D/4D-BIM Design Tools.”28th International PLEA Conference 2012, OPPORTUNITIES, LIMITS & NEEDS, Towards an environmentally responsible architecture, LIMA,Nov. 7-9, 2012. Spiegelhalter, Thomas, Nezih Pala and Youngcheol Kang. “Energy Use and CO2e Reduction Benchmarking – Case Study: FIU’s LEED Certified School of International and Public Affairs.” – PLEA 2012, Opportunities, Limits & Needs, Towards an Environmentally Responsible Architecture.28th International Conference on Low Energy Architecture. Spiegelhalter, Thomas. “Designing with Parametric 3D-tools, Measuring and Benchmarking Carbon-Neutral-Architecture: Local Examples, Global Perspective.” 2012 ACSA International Conference, Change, Architecture, Education, Practices, (Barcelona, Spain: ACSA Proceedings, 2012). This book is a compendium of works of architecture that demonstrate the best practices and principles of designing and constructing buildings that are both environmentally responsible and architecturally expressive. The buildings selected for inclusion in this book exhibit a high level of sustainability and environmental performance and at the same time are complex architectural proposals that go far beyond simplistic instrumentalized notions of design. The book organizes the selected buildings into three sections based on integration of paired building systems including structure, envelope, and mechanical systems. The content aims to demonstrate the performance of each systems pair in terms of interaction, contribution and the synergetic benefits resulting from the unique pairing. The last section of the book is devoted to buildings that have a higher degree of integration and cannot be studied as paired systems. This book is written to advance the education of climate responsive and ecologically sustainable building design.It is organized into seven content areas: building form, building envelopes, climate control systems, structures, renewable energy, lighting, and landscape design. 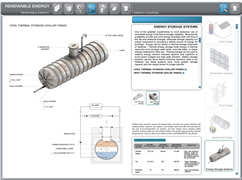 Each content area is subdivided into learning modules that introduce building concepts, construction materials, and operational systems, all explained with a specific focus on energy efficiency and carbon neutral design. The content has been developed to integrate information from various building design disciplines into a comprehensive format.The book utilizes a highly graphical approach to visually demonstrate the concepts described in the text. 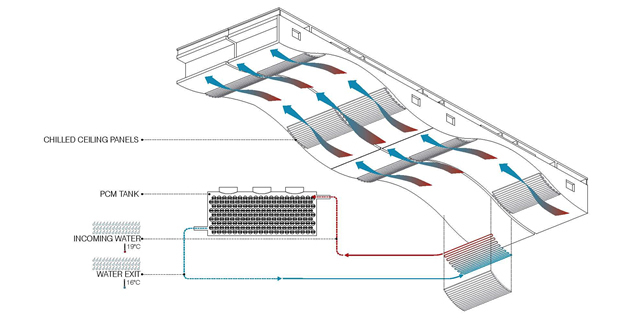 These diagrams demonstrate critical processes in building design and relate important details to holistic functions. 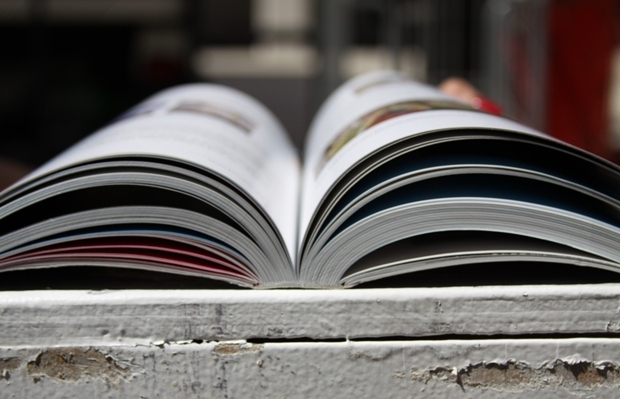 The materials in the book do not require a previous in-depth knowledge of the subject and engage most topics at an introductory level. 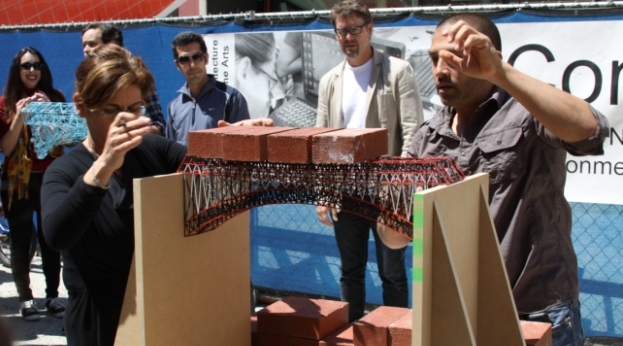 sustainable building design education by developing alternative teaching pedagogies. She is a recipient of tow major federal grants for “A Comprehensive Approach to Teaching Structures” and “Building Literacy: The Integration of Building Technology and Design in Architectural Education.” Both projects developed interactive learning environments using state-of-the-art computing technology. 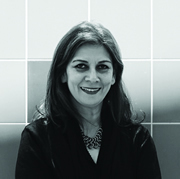 She is the author of Interactive Structures: Visualizing Structural Behavior (2008) and a co-author of Building Systems Integration for Enhanced Environmental Performance (2011). She has a Master of Architecture, a Master in Urban Planning and a Bachelor of Science in Civil Engineering from University at Buffalo, the State University of New York. Thomas has realized research demonstration work in Europe, Central and South America, and the U.S. in numerous contextual solar, carbon-neutral, zero-fossil-energy, passive and low-energy building realizations projects; large-scale sustainability master planning and consultancies, redevelopment projects for abandoned post-industrial architectures and landscapes, engineered suspension bridges, and revitalization projects. 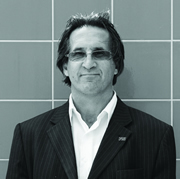 Many of his completed projects have been published in International anthologies of European and American Architecture such in “Contemporary European Architects, Volume V,” 1997, Building a New Millennium 1999-2000″, both Benedict Taschen Publisher, in “Solar Architecture for Europe, Publisher Birkhäuser, 1996, in “The Architectural Review, on Ecology and Architecture,” in 1998, in “Architectural Record- “DESIGN VANGUARD AWARD 2003 or in the monograph “Adaptable Technologies – Le tecnologie adattabili nelle architetture di Thomas Spiegelhalter” by Franco Angeli Publisher, Rome, in 2008, “Post-Parametric Automation in Design and Construction” with Alfredo Andia in 2014, and “Agent-Based Modelling in the Built Environment” in 2018 with H. Yi, Spiegelhalter also co-founded in 2017 the local Dynamo-Rhinamo-BIM-360 group of the Intl. Autodesk User Groups (AUGI) to organize monthly cloud workshops. As a result of his 27 years of design and built work, professional consulting, awarded research, teaching, Spiegelhalter has received 54 prizes, awards, and honors in European and US sustainability competitions individual and in collaboration with landscape architects, and engineers.